Save $50 on a set of Lund Fender Flares at CARiD! - Ford F150 Forums - Ford F-Series Truck Community. Save $50 on a set of Lund Fender Flares at CARiD! If you've taken your Ford off-roading at least once, you know how it can pay you back with rocks, mud, and flying debris, that leave dents, scratched and ruin your body paint. Luckily, there is a solution – add a set of Lund Fender Flares to your truck and stay calm no matter where you take your Ford! This upgrade would definitely become one of the decisions, that you won't regret and new Lund Offer at CARiD makes it even more attractive. 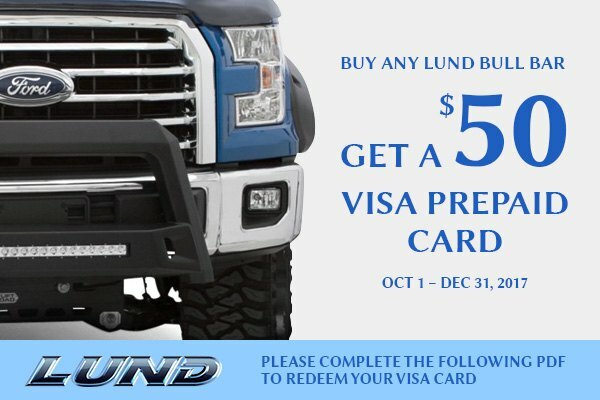 Receive a $50.00 Prepaid Visa Card when purchasing a 4-Piece set of Lund Fender Flares. Don’t miss your chance! Act now, this offer ends on September 30, 2017. Please complete the following PDF to redeem your Card. Tough and durable Bushwacker Fender Flares for your truck! Quick Reply: Save $50 on a set of Lund Fender Flares at CARiD!